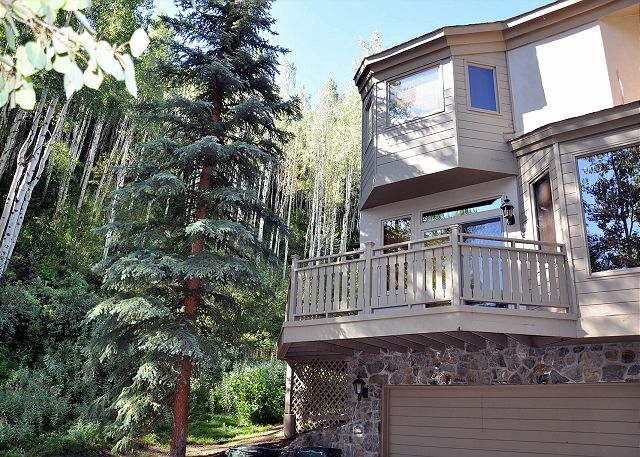 Managed by Gore Creek Properties, this expansive 3000 square foot home is located on the Vail golf course, less than a mile from Vail village. It is platinum rated and can accommodate up to 10 people. In addition, Gore Creek Properties manages the neighboring properties #54, #55, #59, #61 and #68 for larger groups wanting to be next to each other. 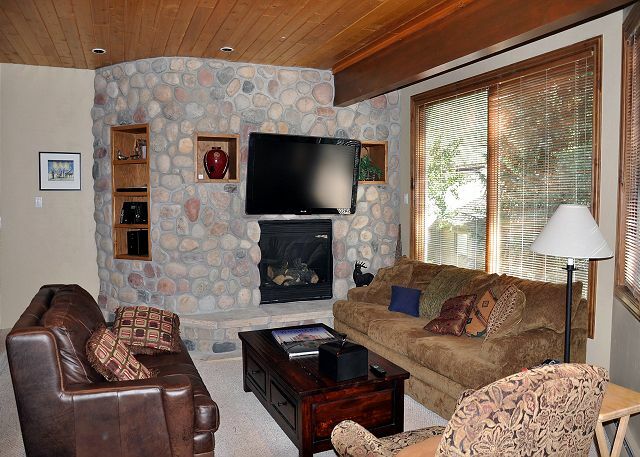 The home has 5 bedrooms, each with its own TV, 4 bathrooms and a gas fireplace surrounded by river rock. It has recently been renovated to high quality standards with a beautiful granite kitchen, high quality woodwork throughout including furniture, trims and flooring. The living room has lovely leather furniture and a huge flat screen TV against one wall. 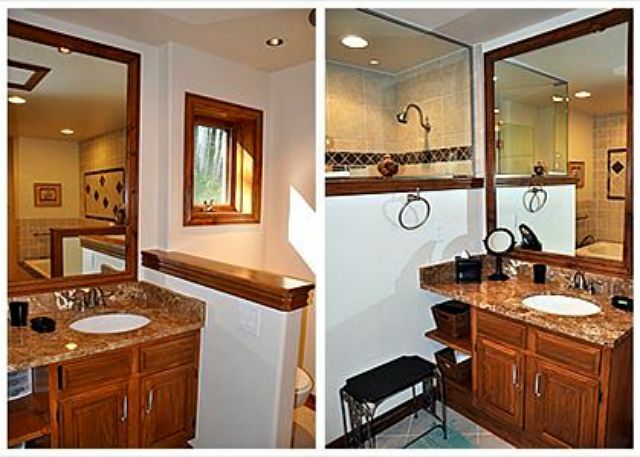 Each bathroom is an experience in itself. The shuttle stop for the free bus which runs into Vail every ½ hour is a few hundred yards away. 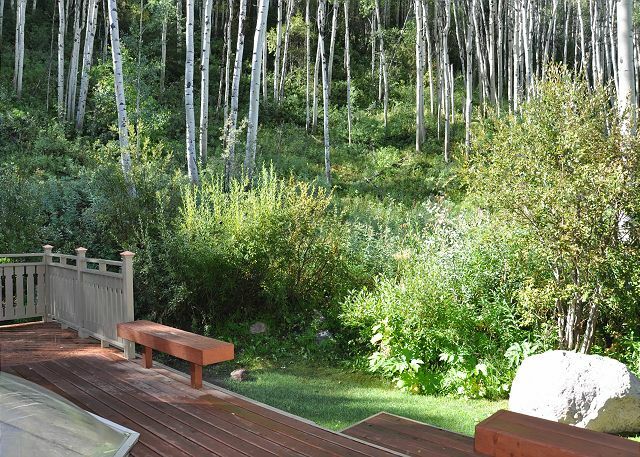 If you want the highest level in accommodations, this is one of our finest properties! This property does not allow pets and is NON SMOKING. Ideal home for our family of seven! We had a great holiday. This unit made us feels more like home. The unit was amazing. Great location right on the bus line to Vail village. We had a large group, but everyone had a bed to sleep on and nobody felt crowded. Nice large kitchen and dining room area to accommodate our large group as well. We loved the amount of space in this home for our entire family (2 adults & 6 kids). The main floor was great, and the heated garage worked well. We decided to use the valet ski parking instead of walking to the bus stop, but the stop was not too far away. One thing, be warned that the master bedroom bed is not very comfortable. Overall, it was a good stay and worth the money. The house was perfect for our group of 9. 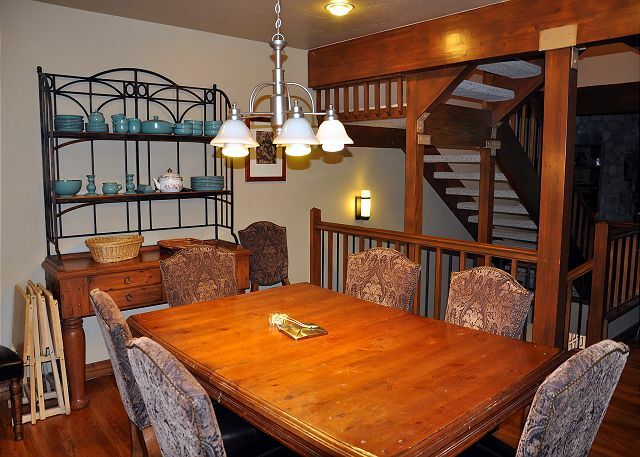 There was plenty of space for everyone to sit at dinner and in the family room. Enough beds for everyone and plenty of bathrooms. The kitchen was well equipped and there was plenty of necesseties (paper towels, coffee filters, laundry detergent, etc.). Really a great house overall. Thanks Tim You are the best. Thank you for having lots of towels and all the amenities. Kitchen and eating area especially well equipped and nice. Loved all the seating in the gathering area. Seems to be some confusion with bus drivers about where to stop outbound.